A Yolngu-led initiative based on Elcho Island in Arnhem Land, Hope for Health was established by husband and wife team Kama and Tim Trudgen along with local community member Dianne Biritjalawuy. It focuses on using tools of nutrition and lifestyle change in accordance with traditional frameworks to produce meaningful improvements in community and individual health. Kama and Tim have been living among the Yolngu people since 2009, learning language and culture, focusing on understanding traditional knowledge and processes and being available to support locally initiated projects. A core group of 12 Yolngu women are the pioneers of the movement to change the experience of health in their community. In April 2015 these women were taken to a health retreat so they could experience a healthy way of living. The experience has assisted them to realise that health and lifestyle factors have a tangible impact on health and wellbeing and one that could empower and strengthen their community. 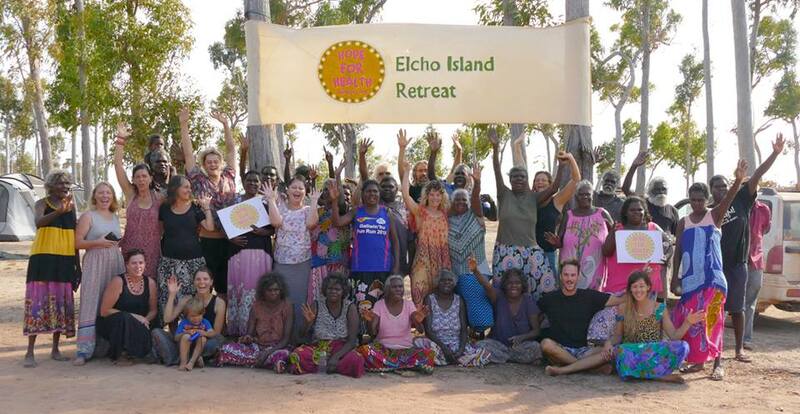 In 2016 Hope For Health successfully created the first ever Traditional Health Retreat on Elcho Island, East Arnhem Land. The retreat provided 25 at-risk indigenous participants with a two week, intensive health experience. This featured naturopathic consultations with prescribed supplements, osteopathic therapy, remedial massage therapy, nutrient dense meals, locally caught traditional foods, traditional healing treatments, education around nutrition in the local language (Yolŋu Matha) and many other cultural elements. The culturally relevant retreat concept was highly effective and is now a cornerstone feature of the program. Currently Hope for Health is focused on developing a health education curriculum that will be delivered by local health coaches. Long term the program aims to expand and share the concepts with other Indigenous communities who are also fighting high levels of non-communicable diseases.